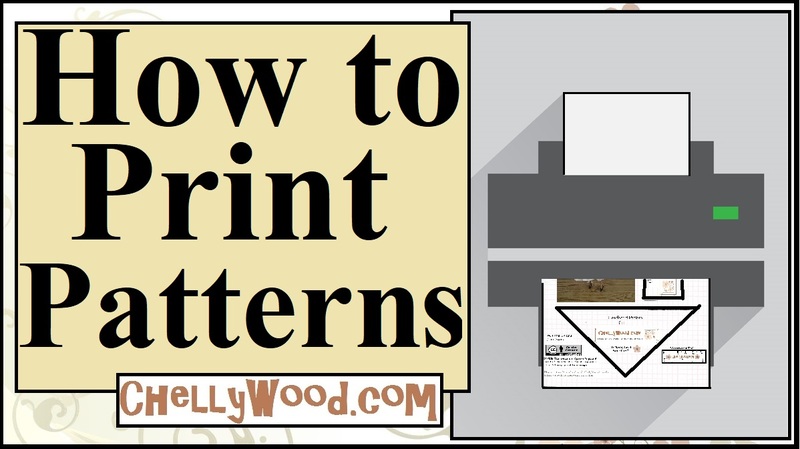 People have been submitting questions about printing patterns more than usual lately, so I decided it was time for a “How to Print Patterns” makeover… especially since Google Chrome makes it so easy to print patterns, even if you don’t have Microsoft Word or a similar program. For anyone who hasn’t discovered the internet-awesomeness of Google Chrome, there are plenty of tutorials showing how to download Chrome. And let me just say, it’s a tool well worth having. It even allows you free storage of all your patterns and doll images on The Cloud. Don’t let that scare you, though. It’s really easy to use! This tutorial shows you how to make a new document in Google Chrome, how to copy from an art program and paste into a Google Doc, and how to remove margins, so you can print your patterns margin-free. But don’t worry, the older tutorial (which shows you how to print patterns in Microsoft Word) won’t disappear completely. I’ll continue to offer a link to it via this post. However, I will be switching the primary link in the margin to this tutorial, as it’s a little more up-to-date. If you’re an absolute beginner when it comes to Google Docs, you might visit this link to a page that answers the question, “What is Google Docs and how do I use it?” Then go back to the tutorial I’ve provided above that shows you how to download Chrome if you don’t have it and, of course, my own tutorial showing you how to use Google Docs to print patterns (available at the top of this page). Let’s face it; technology is ever-changing, and we must all do our best to keep up with the changes! Were you looking for something else? A pattern perhaps? Need help printing my patterns? This link will take you to a tutorial showing you how to download and print my free sewing patterns. Please note: you must enlarge my patterns to fit a full-sized piece of American computer paper (8.5 x 11 inches or 216 x 279 mm) without margins, before printing. My fashion doll designs use a scant 1/4 inch seam (4 mm to be exact). My free patterns are marked with the “Creative Commons Attribution” symbol. This mark simply means that I created the pattern (and therefore I own rights to it), but I’m willing to share it with anyone who will tell people about my website. I’d like the whole world to know that my website offers free, printable sewing patterns! But I need your help in spreading the word. So wheneve you do print and use my patterns, make sure you tell people where you got it by liking them on Facebook, pinning them on Pinterest, and/or tweeting about them (any other forms of social media will do as well). You’re also welcome to add any of my YouTube channel’s videos to your playlists.